Here at Minster Car Co we believe in making sure all the cars we sell are of the very best quality so when you buy from us you don’t have to worry about all the usual concerns when purchasing a used car. The checks we undertake include the essential safety checks and mechanical checks to make sure the car is safe and in good working order and all cars are HPI clear. 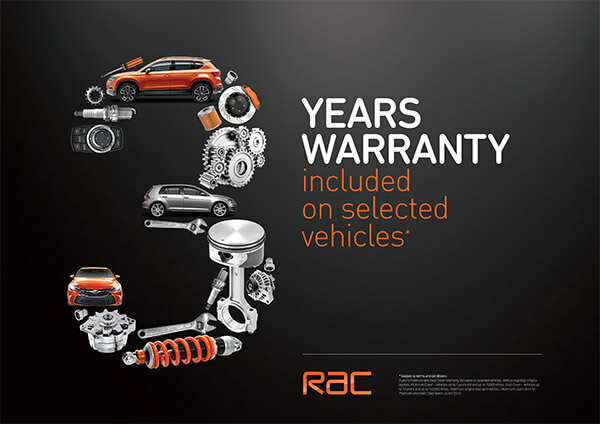 As a an extent of all this hard work we have been able to partner up with RAC Warranty who we believe offer the best cover on the market and make sure you have total ‘peace of mind’ when purchasing your next car from Minster Car Co.